Navigating your fitness begins with knowing your body — dive into the advantages of a morning and evening workout! In part one, we examined what science has deemed as the optimal time to work out, but as we are all intimately aware of, life happens and we have different schedules. In today’s post, we’ll look at the advantages of working out at either time of day so you can find what works best for you! At Proven4, we’re here to support your workout — morning or night! Experience the P4 difference in any of our workout drinks, from a pre-workout, energy endurance, and muscle recovery! Get a Great Workout Morning or Night! If you’re not sure where you fall on the morning or evening workout schedule, there are benefits to both. Let’s review them together below. A morning workout can be the golden hour for some; the early hours provide a time for you to connect with yourself while everyone is still in bed. There are fewer distractions and it helps set the tone for the day. Fewer people – You’ll always have the early birds who love to start their day with training, but a majority of people tend to work out after work or later in the evening, which gives you the advantage of beating the crowds. If you’re a gym rat, there is no waiting around for the squat rack to open up or you’re not hovering over others by the ellipticals. Sleep motivation – Sleep is vital to our health, and knowing you are getting up for an early morning workout may be motivation enough to get more sleep and crush your workout. Early completion – Nothing feels better than completing your workout first thing in the morning. You can breathe a sigh of relief and welcome your day with open arms. You’re free to move throughout your day without the looming feeling of needing to get your workout in, and excuses to complete your workout are squashed. Setting healthy intentions – When you work out in the morning, you feel good about what you’re doing which arguably sets you up to make healthier decisions in your nutrition — you pause and decide against the office donuts or feel good about having only one glass of wine with dinner. The end-of-day workout can usher a sense of closure and a way to separate your work life to set a healthy tone for the lovely hours that await. Improves stress levels – Our work life and just life, in general, can be stressful. Having a post-work training session is oh so good for our soul and stress relief. You have an outlet to process and work through your frustrations of the day. Instead of getting home and melting into the couch with a couple of beers, you’re active and helping to lower your cortisol levels, which are linked to weight gain. Enhanced motivation – Early morning workout motivation requires you to roll out of bed and be ready to go — this just doesn’t work for all of us. A workout during lunch or in the evening time allows us to be fully awake and more prepared for the workout. When you have more mental focus and clarity and your muscles are warmed, you prevent injuries and can concentrate better. 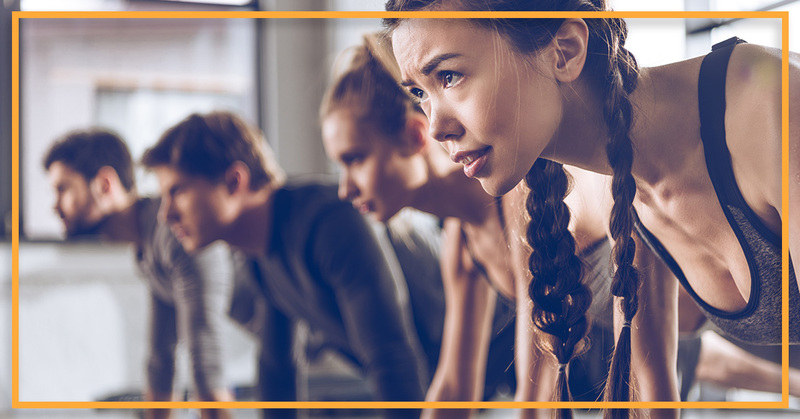 Build community – If you love working out in a group or with a buddy, it may be much easier to find a committed fitness community later in the day. You can meet up for a group run or group fitness class and not only build community but accountability! Better sleep – If you suffer from any sort of sleep disturbances, working out later in the day may help lull you to sleep. As long as you’re not taking a pre-workout or endurance supplement too late (before 5:00 pm), a late workout may help you sleep better with fewer interruptions because your body is using this precious time to repair your muscles. You may find yourself sleeping deeper and waking up refreshed! You can find advantages in both a morning workout and an evening workout, the point is to keep moving and stay committed to your gains! Fuel your body and get the best workout day or night with P4! Shop our sports supplement drinks today!